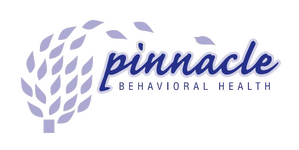 Pinnacle works with a wide range of emotional and behavioral issues providing services that span from therapy for depression and grief counseling to parenting support, couples counseling, play therapy and beyond. In a comfortable and supportive atmosphere, we offer a highly personalized approach tailored to each of our clients individual needs to help attain the personal growth they’re striving for. Currently, a few independent practitioners at Pinnacle are OASAS certified which means they can provide a variety of alcohol and substance abuse evaluation services. The typical requests are for matters related to DWI cases. We also provide assessments for those that need follow up evaluations while attending NYS DDP classes. Please contact Rocco Pezzulo 518-689-0244 ext.22 or Kattery Guzman at ext.19 to be set up with an appointment.